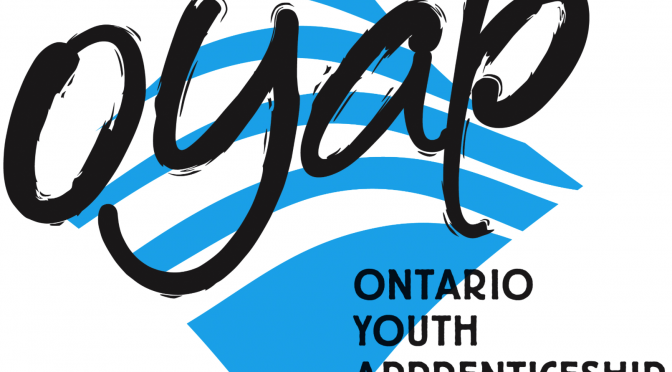 To be part of the Ontario Youth Apprenticeship Program, all you need to do is take coop at your home school in an apprenticeable trade and tell your coop teacher that you would like to participate in the OYAP program. Once in coop, talk to your coop employer and tell them you would like to get credit for the hours that you have worked in coop. If the employer agrees, all you need to do is tell your coop teacher that you would like to be registered. The coop teacher will then get you to fill out a form that will have to be signed by the coop student and parent (if student is under 18). This form is then given to the coop teacher. In about a week, you should be receiving other forms (the training agreements) that will need to be signed by the student (apprentice), the parent (if student is under 18) and the employer. All three copies of this form are then returned to the coop teacher and are sent off to the local Ministry of Training, Colleges and University (MTCU) office. The papers are processed and the MTCU will send the student a card in 6-8 weeks with their apprenticeship number. Once the student graduates from high school, the student MUST send in to the local MTCU office proof of graduation. Students will take a number of courses in a specialized area and complete a 2 credit co-op course. Participants will learn from a certified journey-person for a specific number of hours. A typical apprentice, completes their high school diploma, gets signed on as an apprentice, and goes to college to complete Levels 1, 2 and possibly 3 of their apprenticeship training. They will then need to complete between 6,000 – 10,000 hours working with a journey-person. This could cost several thousand dollars. However, students who participate in the Concentrated OYAP programs can access the same learning and training opportunities for a fraction of the cost ($250), and in a shorter time period! OYAP students will often have the opportunity to complete Part 1 of their training and use the hours towards their apprenticeship. Go to http://www.haltonpathways.ca or http://www.madewiththetrades.com for more information. Join other apprentices across Canada and start the conversation with others by visiting the Canadian Apprenticeship Forum.